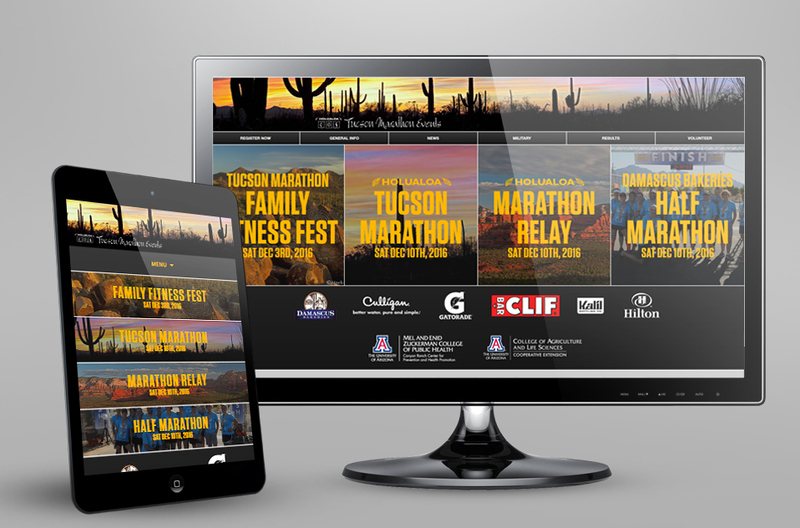 Tucson Marathon Events came to us with the desire to present the events they offer with simplicity and ease for the user and the administrator. Events are kept up-to-date with a customized “Marathon event” plugin that allows you to tie direct Results from the event in that given year with a backlog of those results to reference again and again. The trouble is, there are many third-party tools out there that work great but what if the URL’s change on us? at that point that archive is just not viable anymore. Our solution helps keep Tucson Marathon Events on track year after year. Keeping information organized, no repeat information in various areas of the site, just streamlined and easy to keep track of from both sides.